We love meal prep bowls at our house. 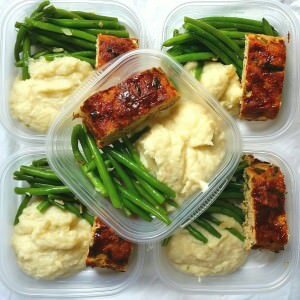 With some prep on one day (we usually prep on Sunday) you have 3-4 days worth of easy lunches to grab on your way out the door to work. I work from home and I still love making meal prep bowls to have ready to go for myself because I am less likely to run to the drive-thru when I’m running errands. Because we’re making meal prep bowls for two of us in our house we usually make two different meals, but that makes it nice during the week because we’re not eating the same thing every day. 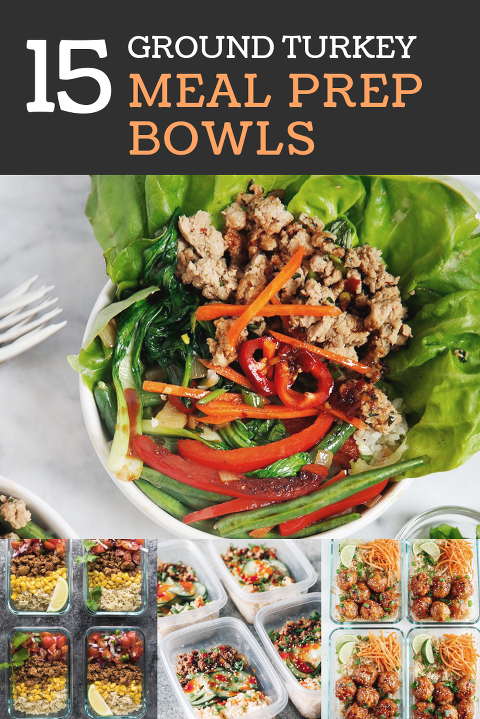 These ground turkey meal prep bowls are so good though, that I wouldn’t mind eating them every day! Also, check out these chicken meal prep bowls and vegetarian meal prep bowls! You can use any rectangular Tupperware you have on hand, but I also love these glass meal prep containers. These plastic ones are great too and a little more affordable. Click on the link below each picture to find the directions and recipe. Whole 30 approved and gluten free version of the family favorite meal, made with ground beef (or sub ground turkey), peppers, sauce and dates. Served on top of baked potatoes. Super tasty gluten free turkey meatloaf served with creamed cauliflower (or your any of your favorite veggies and grains). 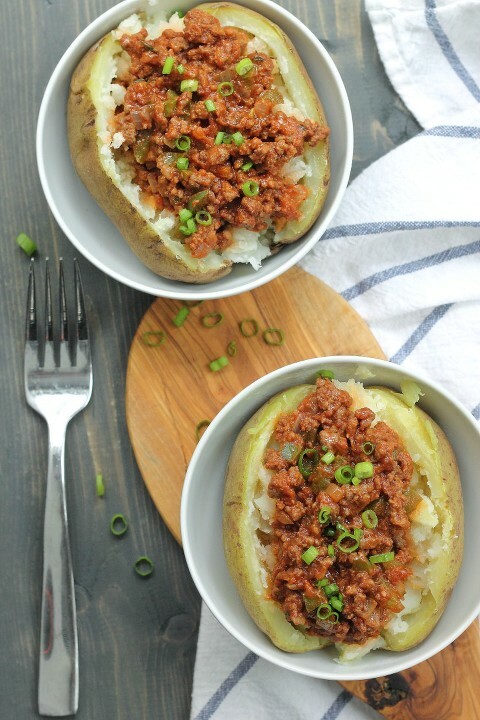 Whole 30 approved, fast and easy, packed with protein and veggies and huge flavor. Sounds like the perfect lunch! Delicious and saucy curry meatballs served with cauliflower rice. Healthy, full of flavor and protein. This is a must try! Turkey taco meat, corn, brown rice and a quick pico de gallo make up these simple and delicious lunch bowls. These bowls have it all. They are flavorful, easy, quick-to-make, healthy, one-pan meal, gluten free, whole 30 and paleo friendly! These bowls come together in 30 minutes! They’re easy to make and full of flavorful teriyaki sauce and cauliflower rice. Quick Korean beef with an easy cucumber salad and a side of brown rice for a filling meal that is healthy and full of flavor. An easy and family favorite recipe made healthier. Serve on a whole grain bun or with rice (or even quinoa) and veggies. This dinner is quick, flavorful and healthy. Made with fresh Chinese green beans (or regular American ones work too), a delicious and flavorful sauce and ground turkey. This is a winner! These baked meatballs are a sweet and spicy dinner that takes only 30 minutes! Serve with brown rice and some shredded carrots for added crunch. Skinny burrito bowls from Skinny Ms.
Everything you love about a burrito inside a bowl instead of a tortilla. Healthy and lean and full of flavor. I love that he calls meal prep intentional meals not sad leftovers! These dirty rice bowls are filling and healthy!